He is a recipient of YOUNG ARTIST AWARD for three consecutive years (1990-1992) and was nominated twice for Golden Globes (1989 & 1992) and Emmy Awards (2007 & 2008). He even knocks a nomination for Teen Choice Awards (2007) and Peoples Choice (2008). The talented and funny man NEIL PATRICK HARRIS has nothing more to prove. Though he is best known as a whiz kid – Doogie Howser, M.D. 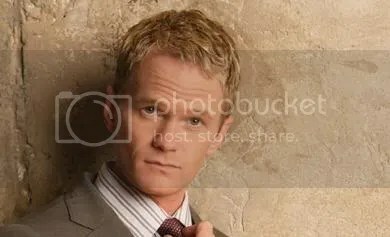 and currently as the womanizing Barney Stinson in How I Met Your Mother , HARRIS has proven admitting once sexual preference is NOT a persons eternal mistake. It serves as a benchmark that being gay in the public’s eye is just a phase and NOT a career suicide. In November 2006, after a report about Harris’ romantic relationship with actor David Burtka surfaced on an online site, Harris came out publicly in People magazine. He explained that he had been openly gay in his personal life and in the theater community. He explained, “[T]he public eye has always been kind to me, and until recently I have been able to live a pretty normal life. Now it seems there is speculation and interest in my private life and relationships. So, rather than ignore those who choose to publish their opinions without actually talking to me, I am happy to dispel any rumors or misconceptions and am quite proud to say that I am a very content gay man living my life to the fullest and feel most fortunate to be working with wonderful people in the business I love.” Harris and Burtka have been together since 2004 and he refers David as ‘his better half and an amzing chef’. Their first public appearnce as gay couple is through the 2007 Emmy Awards. The clip below shows Harris appearance at The Ellen DeGeneres Show wherein he discusses his sexual preference.